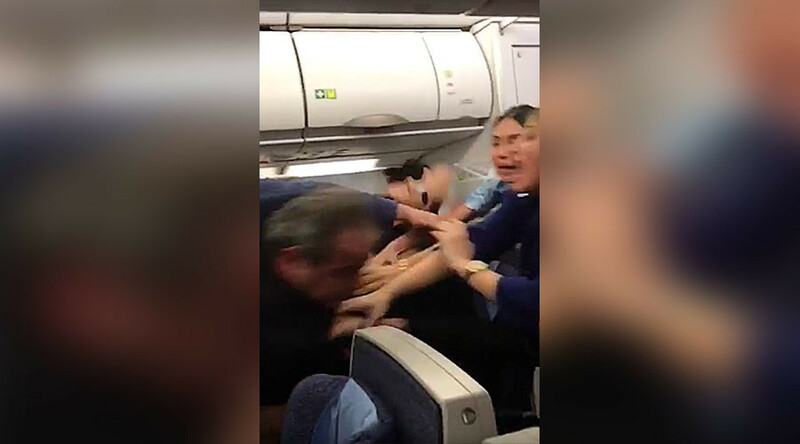 After the older man throws the first punch, the two passengers then grapple in the middle of the plane as bystanders and flight attendants try to break them up. According to the Daily Mail, the scuffle took place on a Wednesday flight from Beirut’s Rafic Hariri International Airport. The fracas is believed to have started when one passenger got into an argument with a flight attendant before assaulting her.Another passenger reportedly intervened in her defense, which sparked the fight.